For thousands of years the bond between man and animal has proven to be effective in creating an emotional, healing bond. Horses are used by physical, speech, and occupational therapists to reach their patients on a personal level through what is referred to as “hippotherapy”. 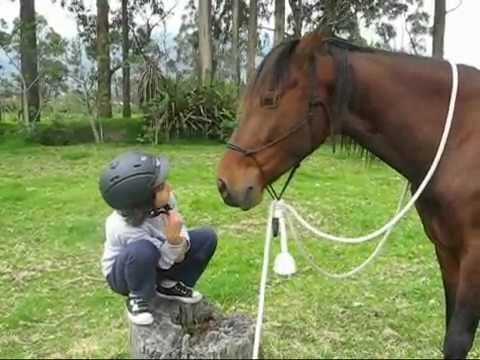 Children with autism also benefit from equine therapy due to the motor, emotional, and sensory sensations that come with riding a horse (Autism Spectrum Disorder Foundation). Autistic children often have difficulty comprehending normal directions. By engaging in equine therapy, a child follows directions through a fun activity that makes taking direction easier to grasp and remember. They will also give the horse direction, which provides them with more opportunities to communicate. The child is naturally motivated to move; thus, s/he's excited and motivated to communicate. During therapy cognitive concepts will naturally improve. For example, equine therapists have children throw colored balls into baskets while riding, touch their eyes, mouth, and ears during a song, and identify scenes - all incorporated during riding. Balance and spatial orientation are experienced through the vestibular sense organs. These are located inside the inner ear and are stimulated through direction change, incline, and speed. Riding a horse helps liven these sensory preceptors, which helps make therapy exciting and motivates the child to continue to be engaged. 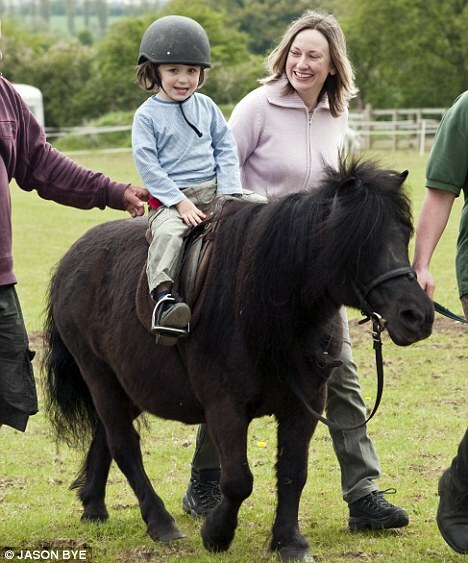 Equine therapy is highly beneficial to children with autism. It helps them develop natural, core skills they need to function in society. But it is expensive. Contact your local RDA centre.